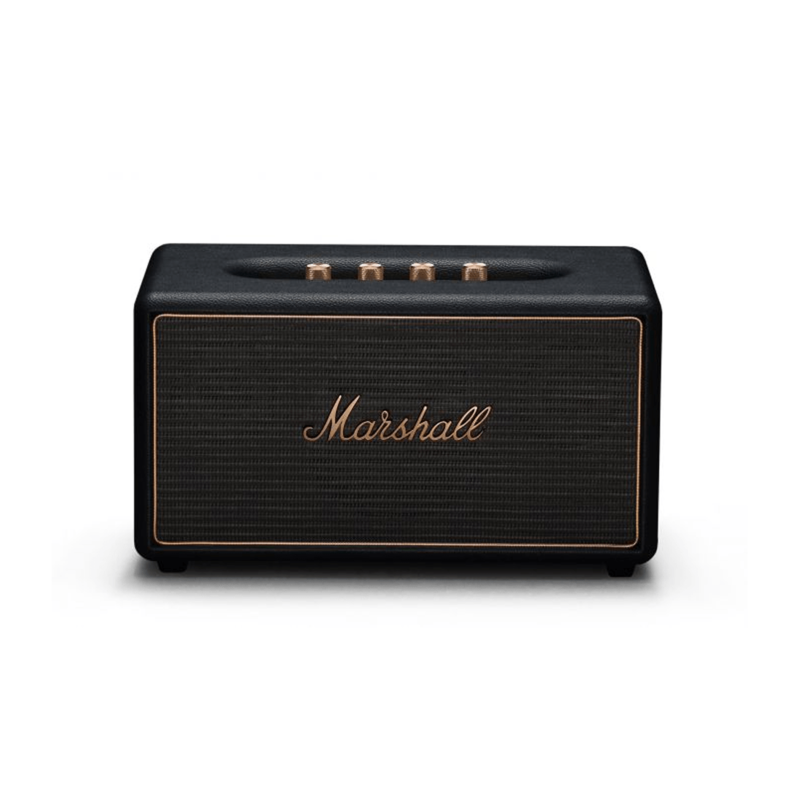 The Marshall Stanmore Multi-Room is the most versatile speaker in the Marshall line-up and is perfect for any room, big or small. Stanmore is the most versatile speaker in the Marshall line-up and is perfect for any room, big or small. Stanmore delivers on the promise of high-performance sound that is synonymous with the Marshall name. 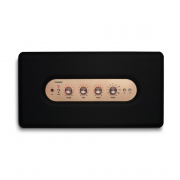 It produces clean and precise audio, even at the highest levels, thanks to the advanced components packed inside this music machine. Connect wirelessly either to Chromecast built-in, Spotify Connect, AirPlay or Bluetooth. You can also plugin via the 3.5 mm socket or the RCA input. 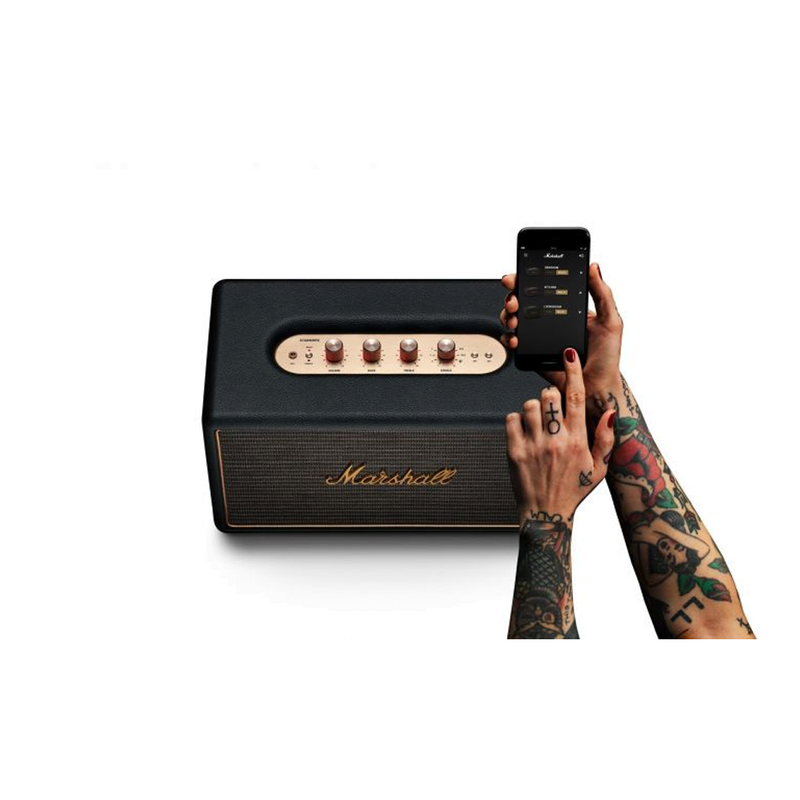 Combine it with other Marshall Wireless Multi-Room speakers to turn your home into the ultimate listening experience. Wirelessly play different songs in each room or bring it all together and play the same song throughout the entire home with the Marshall Stanmore Multi-Room. Simply start with one speaker and build your system overtime. Regardless of your space, there’s a Marshall speaker to fill it.